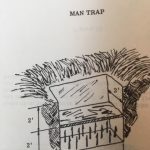 Weapons of the Vietnam War - The Works of Joe Campolo Jr. 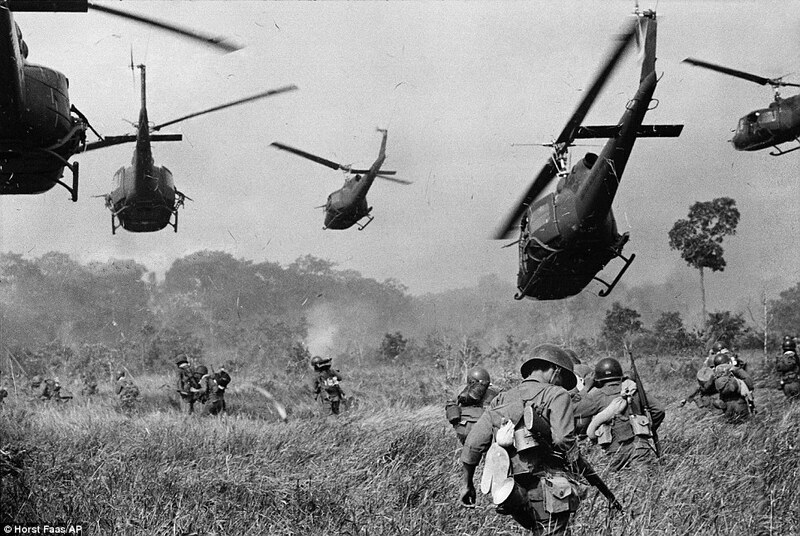 The Vietnam War (the American War in Vietnam) ran on for many years. Primarily a guerilla type war, weapons of many kinds were employed by all belligerent parties during the long struggle in Southeast Asia. 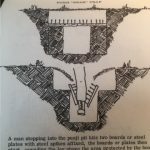 Though not intended to be all encompassing, this article will discuss some of the more familiar weapons of the war, as well as some of the more unusual weaponry employed during that time, and some controversial weapons used as well. 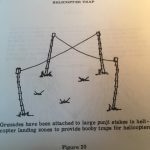 After all these years, many people, veterans and civilians alike, are familiar with the most common types of weaponry employed in the Vietnam War theater. 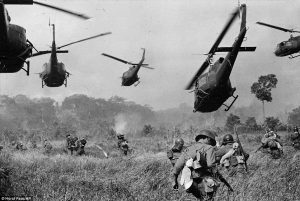 The iconic Huey helicopter, aka the workhorse of Vietnam, is certainly one of the most familiar weapon systems of the war. As a matter of fact, one of the Facebook groups I belong to is dedicated to helicopters of the Vietnam War, and of course the Huey is a main topic. The M-16 rifle is another weapon highly associated with the Vietnam War. In the mid-sixties the M-16 replaced the M-14 as the standard infantry weapon of the war. When I arrived at my base in Vietnam, I was given a brand-new M-16. The first thing I did was tear it down, and a good thing. The firing pin had a hairline crack in it. 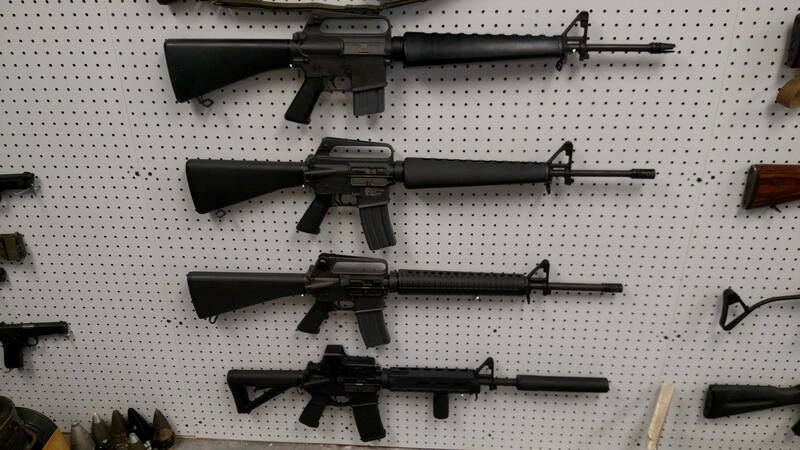 I was given another M-16, not brand new, but with no defects. As an airman who spent much of my time on the airbase, I didn’t rely on the weapon nearly as much as my less fortunate brothers in the Army and Marine infantry, who spent most of their time out in the bush. 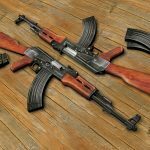 Much maligned in the early stages of it’s release the M-16 was eventually debugged, is still around to this day, and has lent itself to many different variations of the weapon. Another iconic weapon of the Vietnam War, and still in use, is the United States Air Force B-52 strategic bomber. 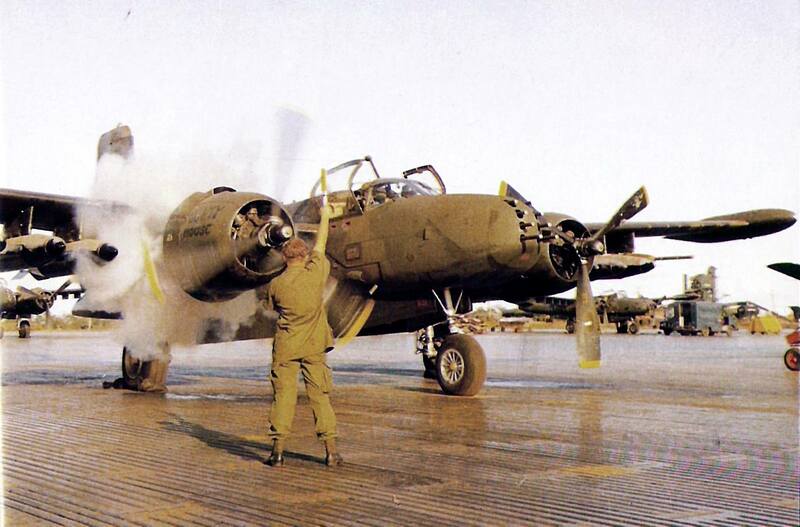 “Buff” as it is known, flew many missions over the skies of Vietnam during the war, both north and south. The huge aircraft was stationed at bases in Thailand and Guam, where they had ample runway space for take off and landing. The area adjoining our Phu Cat airbase was bombed many times during my tour, and frequently it was done by B-52’s. It was quite an earth-shattering occasion when they did, because first you would hear a rumbling growing louder and louder, then you would hear explosions and finally, if they were close enough you would feel the shock waves. Seldom could we see the aircraft, high in the sky or hidden behind cloud cover. Whenever the B-52 bombings occurred I always felt bad for anyone who might have been on the receiving end of those bombardments, friend or enemy. 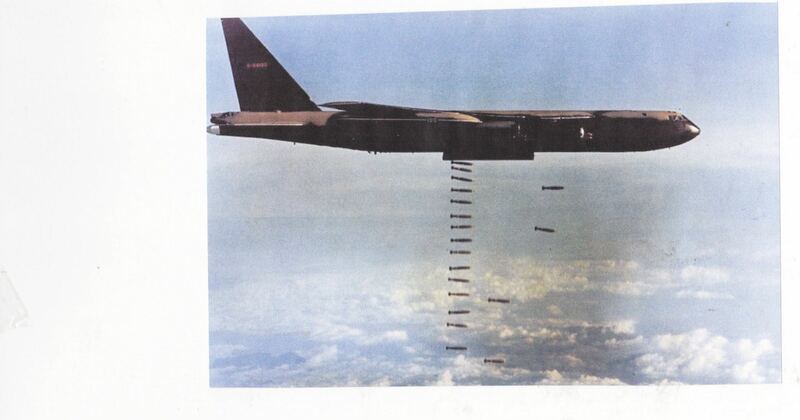 After the war, many North Vietnamese soldiers, civilians, and Vietcong alike, stated that the B-52 Bomber was the most feared weapon of the war. The United States Naval gun boat was also a weapon of note during the war. 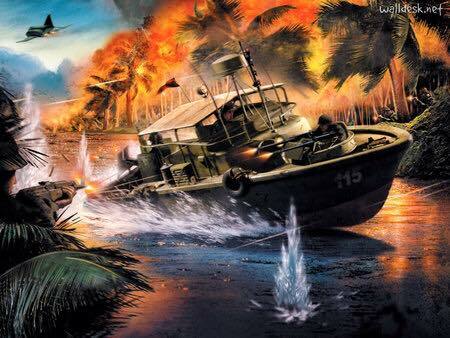 The brown water Navy conducted operations with small gun boats throughout the Vietnam War, in both coastal and inland waters. 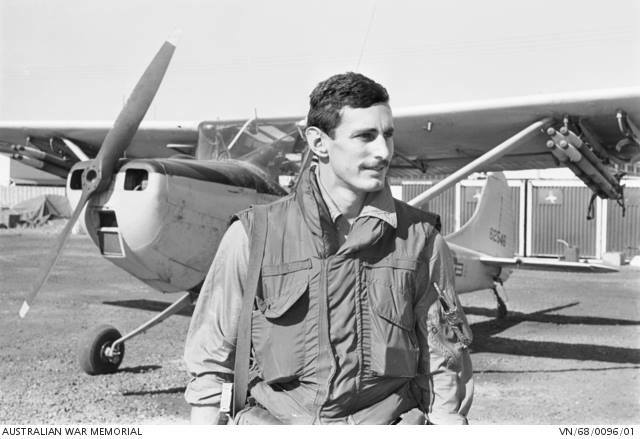 Their mission ranged from interdiction and aid as well as search and rescue sometimes of ground forces or pilots who were in trouble out in the bush. Heavily armed and fast, these boats were very efficient at their given tasks. 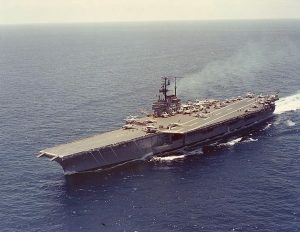 We must also include the U.S. Navy aircraft carrier among those stalwart weapons systems of the Vietnam War. Many missions, in both North and South Vietnam were conducted by aircraft off of those vessels. 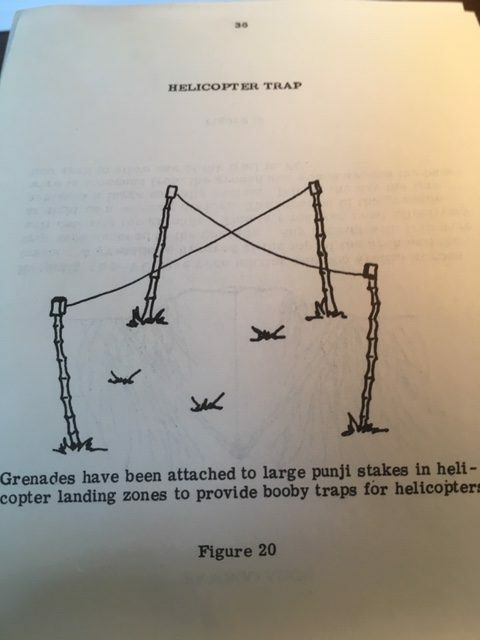 Any discussion regarding weapons of the Vietnam War would be incomplete without including those employed, very affectively in many cases, by the Vietcong and the North Vietnamese Army (NVA). 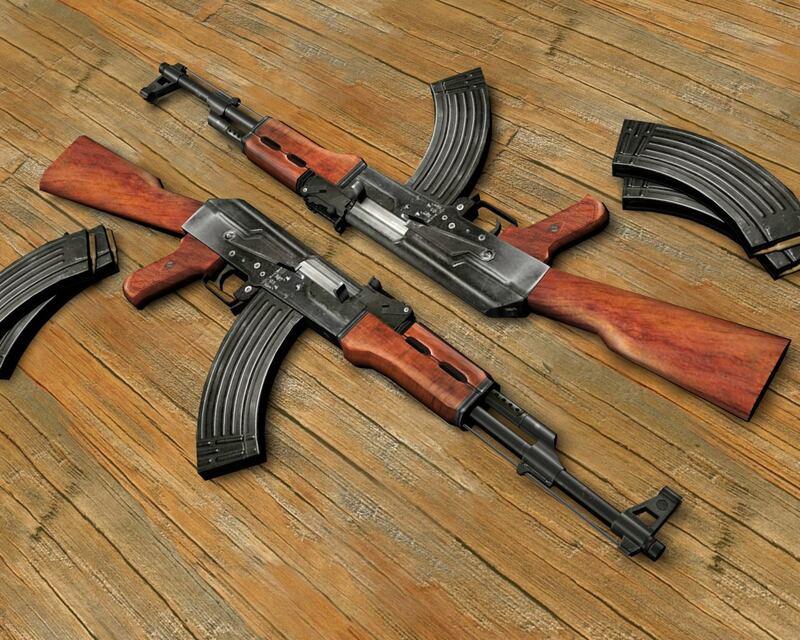 The AK-47 rifle, still very much in use to this day throughout the world, was carried by communist forces, both north and south. Surface to air (SAM) missiles were effectively used by North Vietnam against attacking B-52 bombers and other aircraft. And since one cost me the hearing in my right ear, I cannot omit the 122MM rocket from this conversation. The Vietcong (VC) used it very effectively, along with mortars, to bombard American facilities throughout the war. There are many other weapons systems, large and small that bring back memories of our time in Vietnam. What branch we served in, where in Vietnam we served, and also when we served in Vietnam makes a difference, in many cases, in which weapons systems most strikes our memory. During the course of the long war, many different conditions and problems arose, regarding the nature of the battle at hand. Over time, both sides of the conflict introduced a considerable variety of weaponry which they felt was necessary to address those challenges. The US Air Force, Navy, Army and Marines used many different types of aircraft in the conflict. 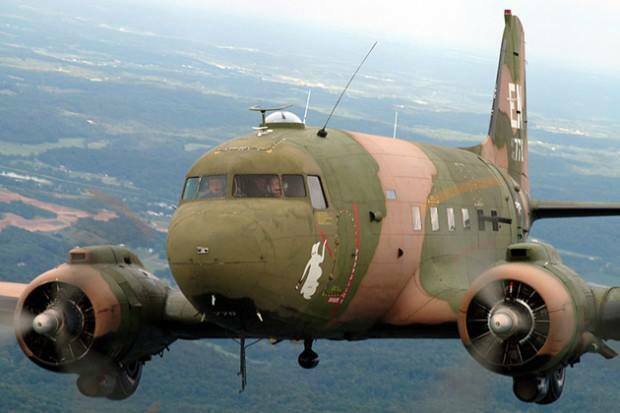 Some, like the C-47 Gooney Bird, and the B-26 Marauder dated back to WWII. Surprising, but very effective air frames, were the Cessna O-1, O-2 and the OV-10 Bronco. These aircraft were used in Forward Air Control (FAC) and also in reconnaissance and rescue missions. Some were equipped with armament, not only to defend themselves, but also in an offensive capacity, depending on the mission. 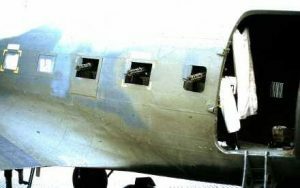 The business end of an AC-47 gunship. 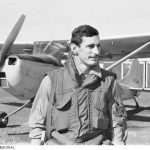 As an “assistant loadmaster” for a short time I loaded, unloaded and traveled on three different types of aircraft throughout the Central Highlands of South Vietnam. And each of those had armed versions which were very lethal. The AC-130 gunships replaced AC-47 gunships (Spooky) as the low altitude attack gunship during the war. AC-119’s, were also used in that capacity. All three were deadly and much feared by the enemy. One of the most unusual weapons of war employed in a modern conflict was the bow and arrow. Special Forces units used the long bow, as well as the Montagnard crossbow as needed, primarily where stealth and silence were critical. 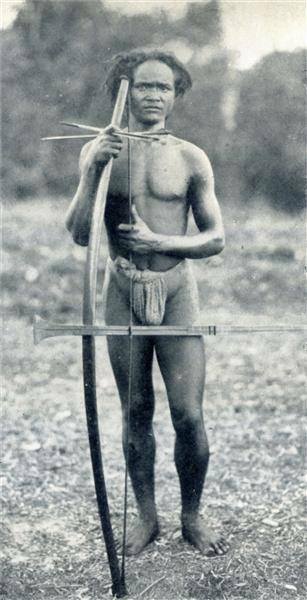 The Montagnard crossbow, though not impressive to look at, was quite lethal and could pierce through a protective flack vest. 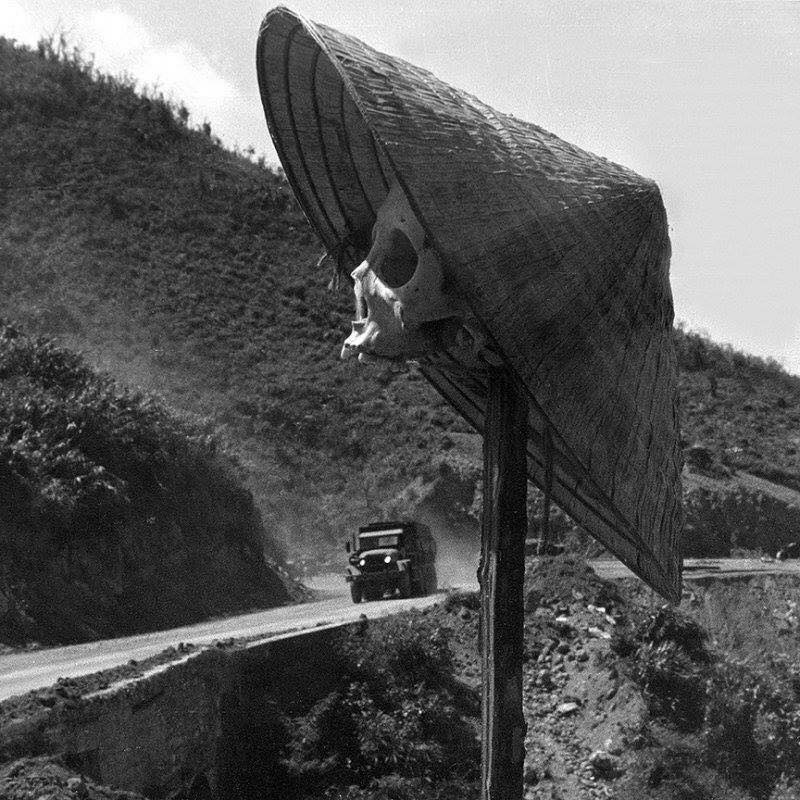 The Vietcong also employed a wide array of unique weapons throughout the war. 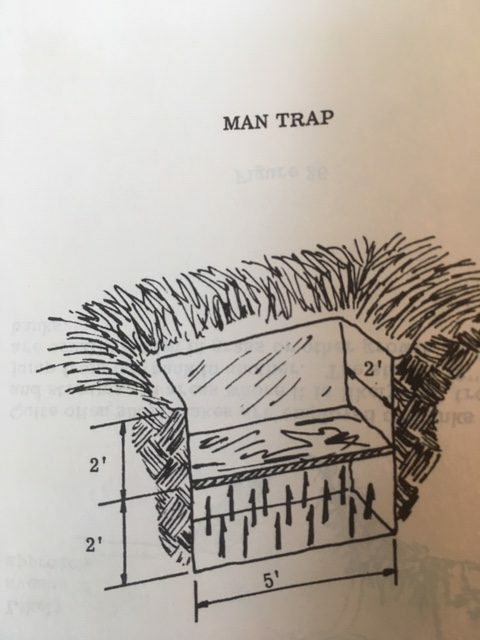 Not able to keep up with American technology, they often employed booby traps, such as the punji trap and variations of it. Photos of this, and some similar anti-personnel weapons are included with this article. The VC also possessed a unique, though primitive anti-tank weapon as well as an anti-helicopter weapon. Always stretched for resources, the Vietcong also relied on weaponry recovered from battles, as well as weapons acquired through the black market which thrived during the Vietnam War. 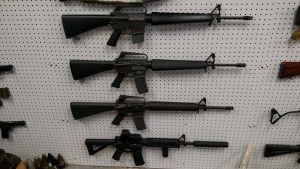 Through this process they acquired many U.S. weapons, such as the M-16 rifle. It would be impossible to review the history of any war and not find issues which created controversy. The treatment of prisoners during the civil war, by both North and South, mustard gas in WWI, concentration camps and fire bombing in WWII, are some examples of such controversy. And as such, by its nature, the Vietnam War has also produced controversies. It is not the author’s intent to level judgement regarding the issue, only to communicate information. Napalm, a petroleum product manufactured in jell form and released from aircraft, caused horrific injuries and suffering. The practice of burning “enemy” huts by some American forces was also a contentious activity. Acts of terrorism by the Vietcong were brutal in nature and questionable regarding their effectiveness, as they were primarily used against civilians who they were supposedly trying to help. The brutalization of American prisoners of war in North Vietnam was also a type of weapon of terrorism, designed to strike fear and misgivings into their enemies. The stalwart men imprisoned, however, proved to be a match for all of the torture inflicted upon them. The bravest of the brave. 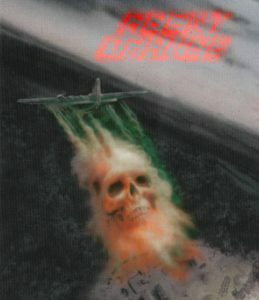 Agent Orange, the herbicide defoliant developed by Monsanto, was and still is, the most controversial weapon of the war. Intended to be used to deny the enemy cover, the chemical has now been attributed to many serious health conditions, with many Vietnam War Veterans still suffering and dying from it’s use. Moreover, the Vietnamese are heavily impacted as well, as the toxic chemical remains imbedded in the soil and waterways where it was originally dispersed. Having been directly affected by Agent Orange, I am acutely aware of the issues at hand. 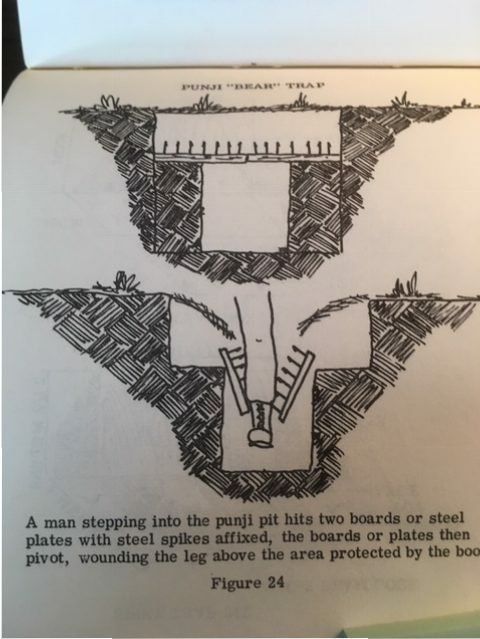 The weapons of war, though perhaps not dinner party faire, are of immense interest to those of us who wish to understand the field of war and the weaponries so employed. For most, it is our hope and desire, that these tools of death and suffering not be needed or used, however until that day comes, we must be cognizant of all weapons of war, be they used for good…or evil. 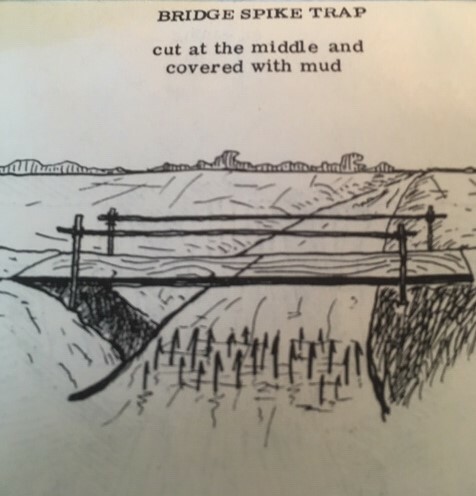 Terrific article Joe, well written, informative and I, like you, certainly hope for a day and time when the tools of the trade become extinct. Unfortunately, in my humble opinion, it is evident that a day and time when weapons of war fall out of favor, if ever, would be far off into the future. Thanks Duke, good to hear from you. I agree…we seem to be dedicated to tearing each other apart. Maybe some day it will be different. 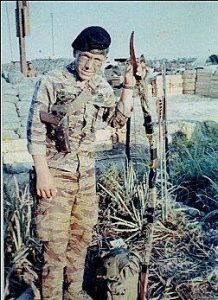 Those of us that went into Nam April 9th 1962 carried M-1s, light 30 cal machine guns, Tommy guns, and all of the stuff from WWII and Korea. But Marines make do. You were there very early in the war, William, so not surprised that you were still carrying the M-1. You Marines were tough and did a great job, thanks for your input. Sorry about the omission Paul, I felt the F-4 Phantom deserved a shout out also, but once I started thinking about all the weapons systems that could be mentioned, I decided to just keep the short list. I know the “Thud” was a good air frame, thanks for reminding us. Hope you are well. Great article Joe, Reminded me of many occasions during my tour with 1st Cav and C Btry 2/20th ARA. A Cobra Unit at the time with the Blue Max Moniker. Thanks Bob, glad you enjoyed it. 1st Cav was a great outfit. Great piece, Joe. I would have at least added the 105 artillery cannons, M79 grenade launcher, Claymore mines, and grenades as they were used by US forces daily during the war.